1. Review textbook sections on the pancreas, liver, and small intestine. 2. As a review activity, label figure 49 9. 4. Examine the pancreas slide using low-power magnification. Observe the exocrine (acinar) cells that secrete pancreatic juice. 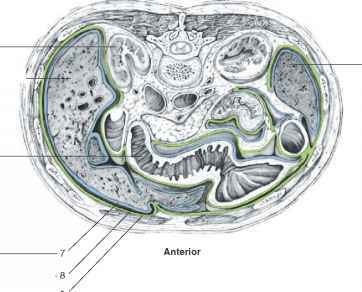 See figure 37.11 in Laboratory Exercise 37 for a micrograph of the pancreas. 5. Complete Part D of the laboratory report.